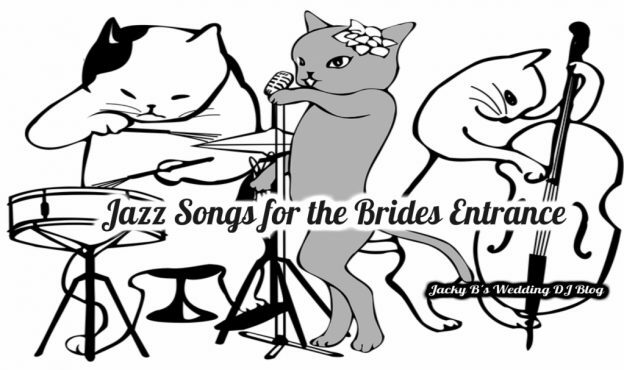 Jazz Songs for the Bride’s Entrance at Wedding Ceremonies is this weeks Wedding Ceremony Music Series post on Jacky B’s Wedding DJ Blog. Short list this week as it seems not a lot of brides are using Jazz songs for their entrance. Jazz music is not a s popular as it once was pre-2000’s. We were only able to find 3 artists that would fit in the Jazz songs for the bride’s entrance at wedding ceremonies. Look for our next update to see if we were able to find more songs for this category. Are you planning to use Jazz songs for your wedding ceremony? We could use your help in making this book better for future couples. 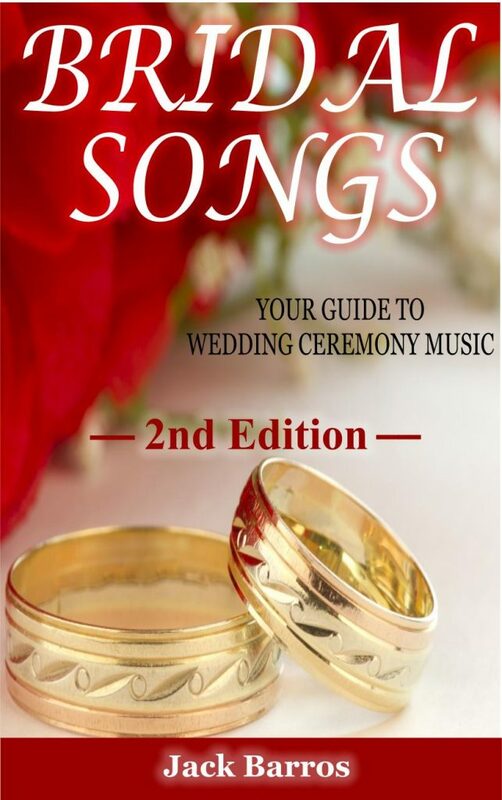 Let us know what Jazz wedding songs you found and we will add them to Bridal Songs Your Guide to Wedding Ceremony Music 3rd Edition. Is there a song you would use for Christmas at Your Wedding Ceremony? 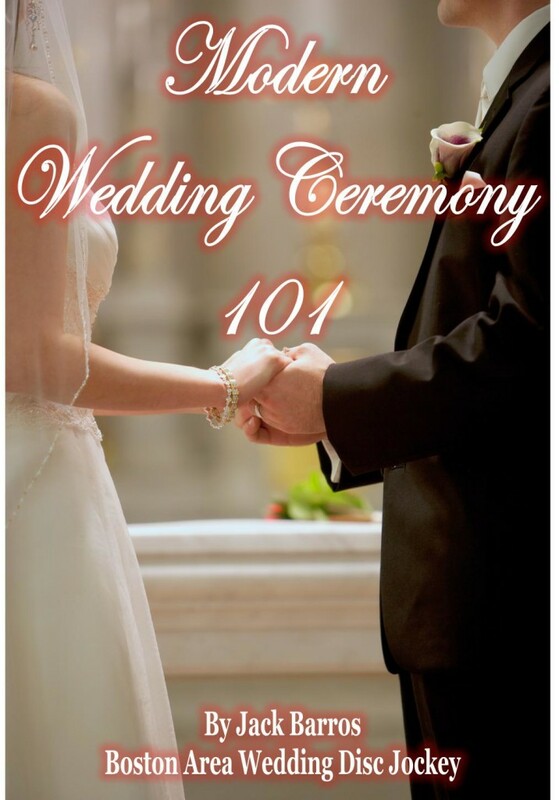 This entry was posted in Wedding Ceremony Music, Wedding Information, Wedding Songs, Wedding Tips and tagged boston area wedding dj, Jazz Songs for the Brides Entrance, jazz wedding songs, new england wedding dj, Professional Wedding Emcee & DJ, Wedding Ceremony Music, wedding dj tips, Wedding Tip, worcester wedding dj on December 25, 2017 by Jack Barros. 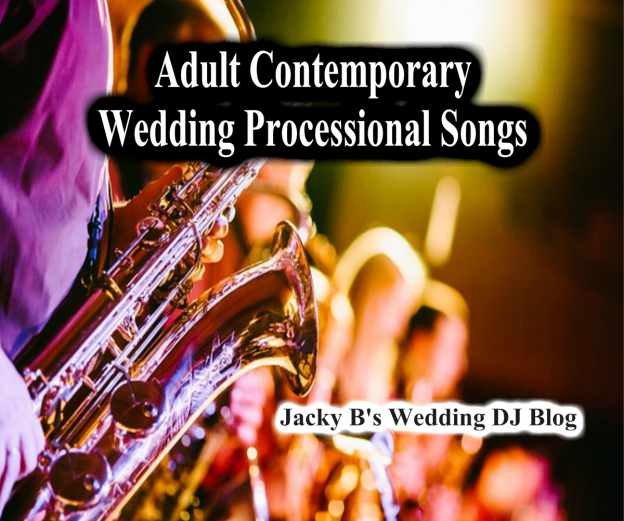 Pop Songs for Seating of Mothers and VIP’s at Your Wedding Ceremony is this week’s Wedding Ceremony song list of the week on Jacky B’s Wedding DJ Blog. This is one of the categories that not a lot of brides choose a special song for. In doing research for this article, we looked in forums, chat rooms and other blogs that brides would offer their selections. In this case there were only a few Pop songs that brides have used for this occasion. 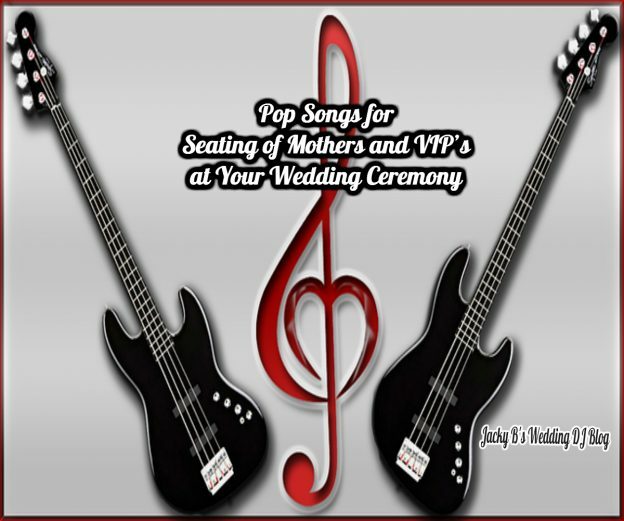 The songs that are on tthis list Are you going to use pop songs for the seating of the mothers and VIP’s at your wedding ceremony? You will find great Pop Songs for Seating of Mothers and VIP’s at Your Wedding Ceremony along with 10 other genres of music. You can find songs easily as the songs are listed by genre, artist and song title. Bridal Songs Your Guide to Wedding Ceremony Music details the different parts of the American wedding ceremony. 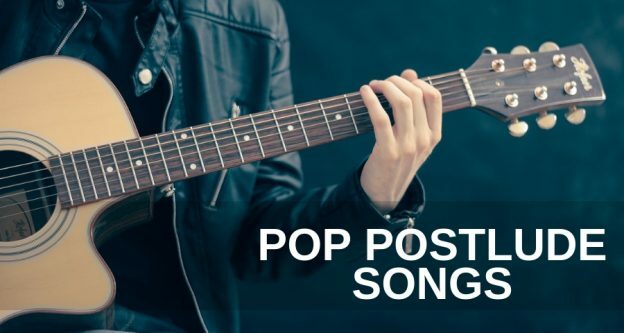 Is there a song you would use for a Pop Songs for Seating of Mothers and VIP’s at Your Wedding Ceremony? Love to hear it. Place any suggestions in the comments. This entry was posted in Wedding Ceremony, Wedding Ceremony Music, Wedding Songs, Wedding Tips and tagged pop songs for seating of mothers and vip's, Professional Wedding Emcee & DJ, Wedding Ceremony Music, wedding DJ, wedding dj tips, wedding information, Wedding Music on November 29, 2017 by Jack Barros. 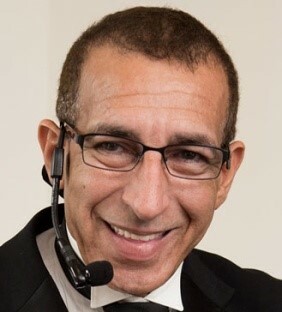 Hi my name is Jack Barros Boston area wedding DJ and author of Modern Wedding Ceremony 101! If you stick around, I’ll tell you how to get your eBook copy FREE! Welcome to the Wedding Reception Planning series. This video series we’ll discuss the various parts of a typical American wedding reception. Furthermore, I strive to provide you the information you need to help plan the wedding reception of your dreams. There are a lot of great traditions in American weddings that you can choose to celebrate. What I love to share with couples is that they can honor those traditions. Or modify an existing tradition. But best of all they can start their own family tradition. In this article we will be talking about the traditional wedding introduction. You can be introduced into the reception several different ways. Often depending on the type of reception you have chosen. Let us look at some common ways you can be introduced at your wedding reception. You may want to introduce just the two of you! “Good Evening Ladies and Gentlemen, on behalf of our bride and groom we thank you for joining us for this joyous occasion. I ask you all to please rise. (pause) It gives me great pleasure to introduce Mr. and Mrs. Newly Wed! There are a few reasons why you would choose to introduce only the bride and groom. A small, intimate wedding reception. You may have a very small bridal party. Also, an odd number of wedding party participants. Consequently, short wedding intros are also often done at casual, destination and second weddings. Your next option is to introduce the Bridal Party! In this scenario you, the bride and groom are introduced after the members of the formal bridal party. The bridal party intro often begins with introducing the flower girl and the ring bearer if you have them. Also includes the brides’ attendants, often called bridesmaids, and ushers also called groomsmen. Wedding introductions done at formal wedding receptions include the Parents. The parents of the bride, traditionally the hosts of the wedding reception are introduced into the room first.Today many receptions get paid for by many people. Parents, couples themselves and even crowd funding websites, like GoFundMe. In this case, your Emcee or wedding DJ will introduce the hosts of the reception into the room first. Quite often you will have notable guests to include in your wedding introductions. Notable guests include your grandparents and anyone that participated in the wedding ceremony. Notable guests may be introduced into the room before your parents, or they may also be recognized at their table.There you have some of the most common introductions at a typical American wedding reception. Who are you going to introduce? 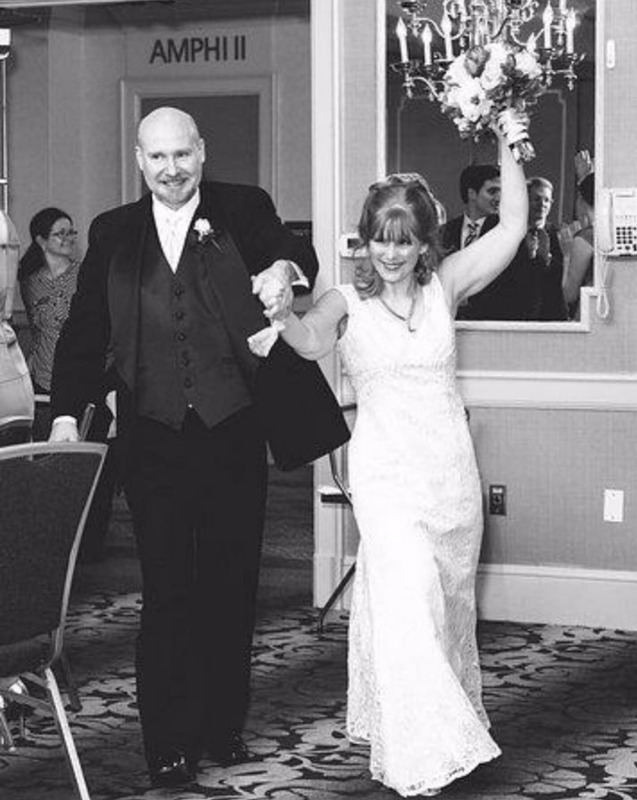 This entry was posted in Wedding Receptions, Wedding Tips and tagged boston wedding dj, boston wedding emcee, bride tips, brides wedding tips, central mass wedding dj, new england wedding dj, Professional Wedding Emcee & DJ, wedding DJ, wedding dj tips, wedding info, wedding introductions, wedding reception planning, worcester wedding dj on November 15, 2017 by Jack Barros.